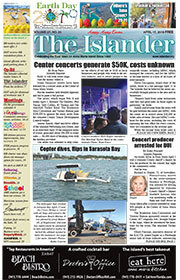 Holmes Beach charter review commissioners are considering proposed ballot measures for charter changes. The CRC voted 3-2 March 14 to place on the ballot a proposed extension of the length of residency to qualify to run for city office from two years to four years. However, because the decision was not approved by a supermajority, which requires a 4-1 vote, the motion failed. “Maybe we would get a more educated electorate and educated commission if we extend the residency requirement,” he said. 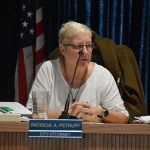 She said she knows old-timers who have no interest in island issues, while some seasonal or new residents become more active in the community. Carlson said newcomers can provide fresh perspectives on longstanding issues, such as transportation. Murphy also suggested that increasing the stipend for commissioners — currently $500 per month — might encourage more people to run. “I doubt anyone is going to run for the money, but we might generate more candidates if they felt their expenses were going to be more realistically treated,” he said. Zaccagnino noted payment to commissioners is not in the charter, and suggested the CRC recommend to the city commission that, if they raise the stipend they could increase the candidate pool. Murphy motioned that the CRC create an addendum for the city commission, which would include the board’s remarks on topics outside of the charter recommendations, including increased compensation for the mayor and commissioners. He recommended that residents’ permit applications take priority over those of investors who do not live in the city. Carlson said she understands Murphy’s point of view, but she suggested they check with the city attorney to determine if the charter is the appropriate place for such a document. Upshaw suggested Murphy write up his proposal and file it with the city clerk. The CRC comprises five people elected by citywide vote in 2018. It has met weekly since Jan. 17 to review the charter for possible changes. The committee has a May 8 deadline to present recommendations to the city commission. Charter changes approved by a supermajority of the committee will be submitted to the city commission as an ordinance, and then to the Manatee County Supervision of Elections for a citywide vote on the November ballot. City attorney Patricia Petruff said she would prepare and review the ordinance for the ballot. 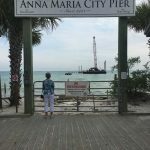 The Holmes Beach CRC meets at 10 a.m. Thursdays through the end of April at city hall, 5801 Marina Drive. 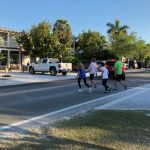 The Holmes Beach charter review commission solicited feedback from the city commission for its March 14 meeting. Commissioner Kim Rash, who is serving his first term as an elected official, was the only commissioner to attend. CRC chair Edward Upshaw said he might not have given other commissioners enough notice and he plans to extend an invitation to attend the March 21 review meeting. Members of the CRC asked Rash about topics they are considering, including the form of government. Charter review commissioner David Zaccagnino said Rash campaigned on the platform of changing the form of government from strong-mayor to city manager and asked why Rash, whose platform was “the voice of the people,” advocates the change. Rash said he isn’t for or against a city manager, but previously stated it should be “up to the people to decide,” as a ballot measure. As a former Lakeland City Commissioner for ten (10) years. I learned first hand that Commissioners are elected by the people to run the City. When Commissioners “kick the can down the road” by putting decisions up to vote by the Citizens, they are avocating their primary responsibility of decision making..